These descriptions explain what will be taught in the Beginner, Intermediate, and Advanced weekly classes. It is also our general description for our specialty workshops. If you're new to dance, or just new to our classes, the beginner class will give you the head start you need to have a successful journey. The beginner series starts on Week 1 from the tippy-top and breaks down every step of the fundamentals of Hustle or West Coast Swing. 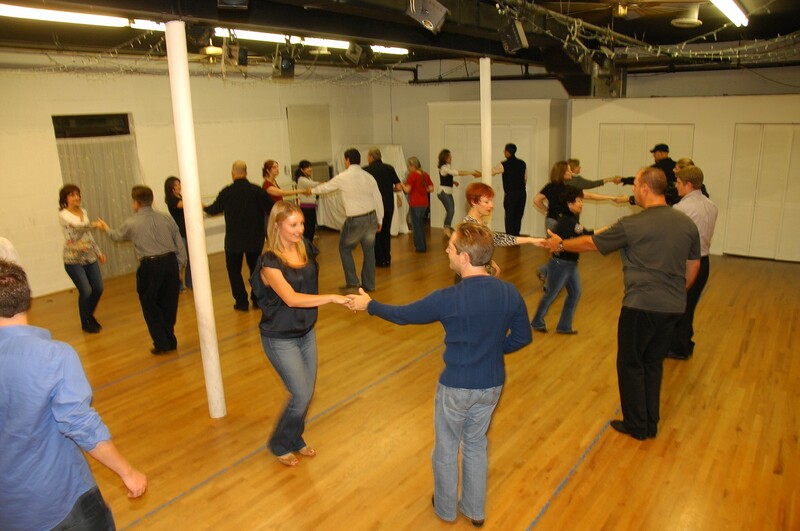 It is perfect if you have never tried partner dancing before or if it is your first time trying one of these dances or just if it's your first time with our group. You're never too good to learn it right. The beginner series usually starts the first week of the month for four weeks. New beginners are encouraged to begin during the first two weeks. If you're patient, you'll progress quicker. Many people take the beginner series (4 classes over 4 weeks) twice so that they feel comfortable and fluid with the basic vocabulary. 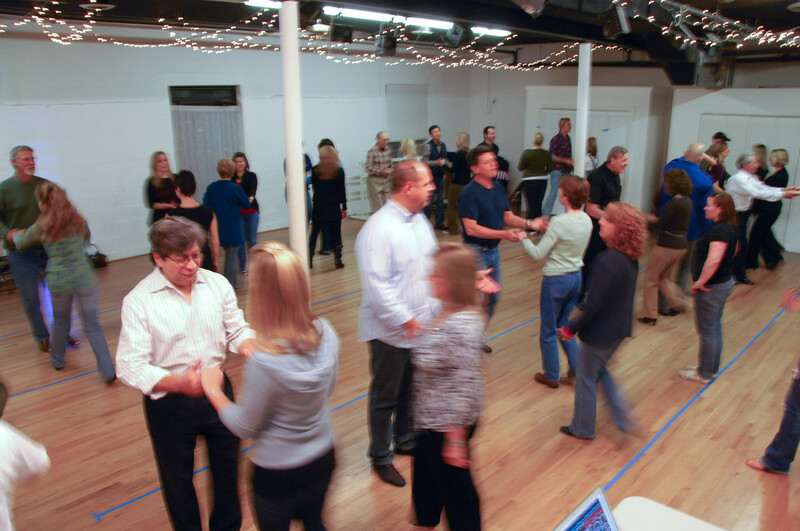 Social dancing during the parties is the quickest way to progress to the Intermediate class. 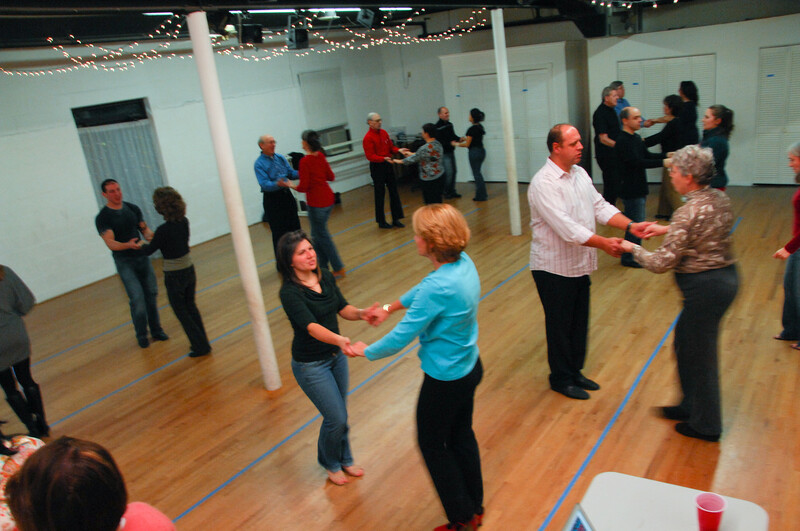 If you have a doubt about your level, please read Dance Etiquette #8 and ask your instructor. Once you've got the basics, it's time to build your vocabulary. This class will give plenty of social lead/follow patterns with a strong emphasis on technique. 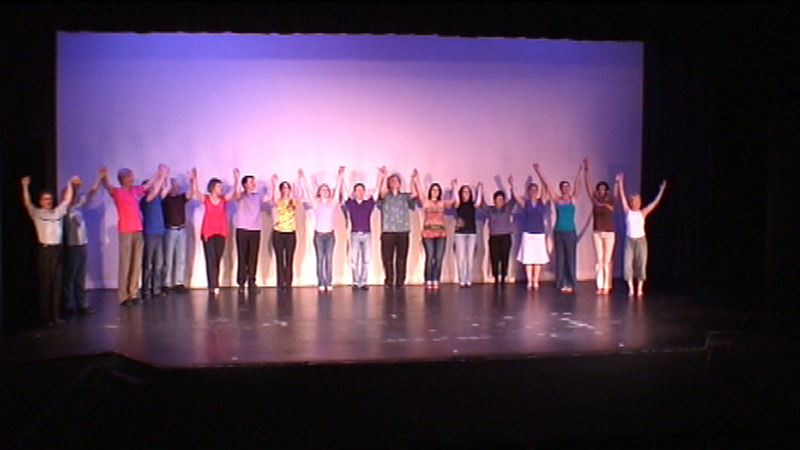 Simple choreography will be used to help illustrate musicality and repetitive motion. Pre-requisites: Leaders and Followers must be comfortable with the Basic vocabulary of the dance (for WCS: a Push Break, Sugar Push, Right Pass, Underarm Pass, Left Pass, Basic Tuck, Progressive Tuck, Whip, Whip with a Double Outside Turn, Anchor Step etc, for Hustle: Cross body, Open throw out, Wheels, Underarm turns, Under the Bridges etc). Attendees must also be able to do the basic vocabulary without holding back the general momentum of the class. This class is all about choreography: learning how to dance by using repetitive motion to master basic movement, learn cool patterns, add styling and begin to use musicality. This class is very "fun and challenging" or "challenging and fun" depending on your ability. Pre-requisites: Attendees must also be able to do the basic vocabulary without holding back the general momentum of the class.